This is quite exciting to me. I mentioned at a Red Line meeting that I thought there needed to be more crosswalks for pedestrians in between the stations and signaled intersections. 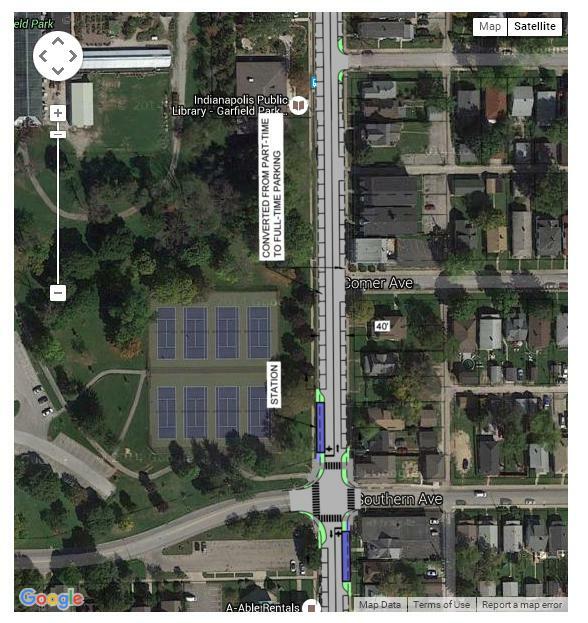 IndyGo listened, and has proposed crosswalks for 56th, 44th, and 40th Streets across College Avenue. Never doubt that public participation can make a difference, especially when it is made at the appropriate occasions. I’m not going to take credit for this, as I’m sure others also mentioned the crosswalk idea. But, the more they hear stuff like this, the more realistic it will be to see the request fulfilled. What’s a BAT Lane? Well, don’t feel bad if you don’t know, I had to look it up as well. Basically, it’s a way to integrate the bus with turning vehicles. These lanes appear to be mostly downtown. One notable addition is the transition of Shelby from having part-time parallel parking towards full-time parking. This is something the neighborhood has been clamoring for, and is a good step towards calming the traffic. It is very exciting to see the Red Line route in greater detail. They’ve also released an FAQ website just in case any in the public are skeptical, but willing to learn more about the route. Kevin, have they released any time estimates for the route? I’ve heard “drive time competitive” with about 17 minutes from Downtown to Broad Ripple. I’m absolutely thrilled about this. I’m okay with the skywalk at the Children’s Museum. Most of the passenger traffic at that station would be for the Children’s Museum and it’s not a major commercial/mixed-use node, so it’s fine. The Michigan Left’s at Meridian and 38th may take a little time for motorists to get used to, but I don’t see it causing a major problem. The only thing I wish would change is the full-time parking on Shelby Street. I would rather see the two-way protected bike line extended down to the University of Indianapolis through Garfield Park on one side and full time parking on the other side. I think station placement would be a problem in that case. 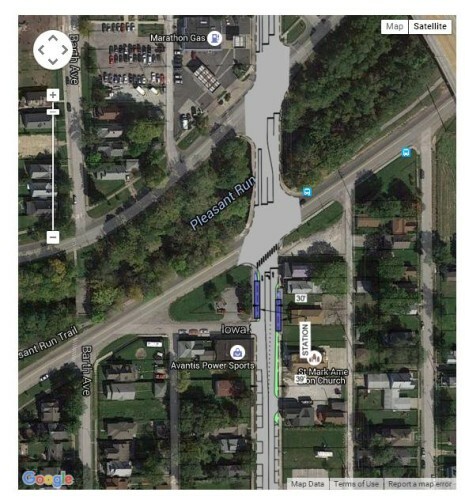 The south side doesn’t have center running BRT, so dedicated bike lanes would have to contend with the buses somehow. No problem! It’s likely unfeasible, I’m sure someone looked into it. IndyGo’s engineer is a pretty smart guy. Kind of reminds me of how Austin’s MetroRail did their downtown station, with the street, then station, then PBL, then sidewalk combo. I’m actually unexcited about the Michigan left at 38/Meridian. I’m no fan of Michigan lefts at all, really; they complicate a simple turn and add needless time. I’d just dive over to Illinois somewhere around 30th and go left at 38th from there. I make the left at Meridian all the time as I live off Michigan Road. because indianapolis has been creating bastardized michigan lefts, they’re just a garbage version of what it should be. allisonville and 96th is terrible. 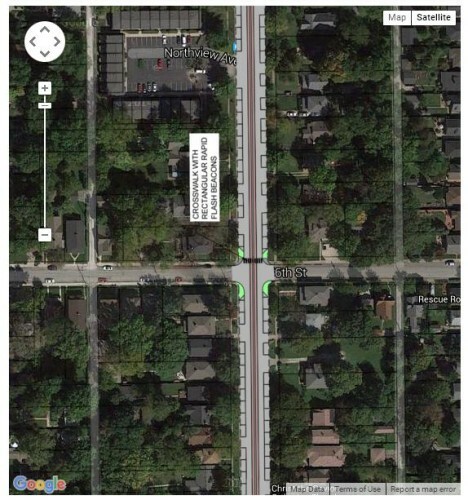 Although, I do have one question about the 67th Street turnaround. Should the transit referendum pass in the future and the line be extended to Carmel and Westfield, would the old College Avenue alignment close once again or would it just remain open to the general public as an access street, since BRT vehicles would no longer be turning around there? 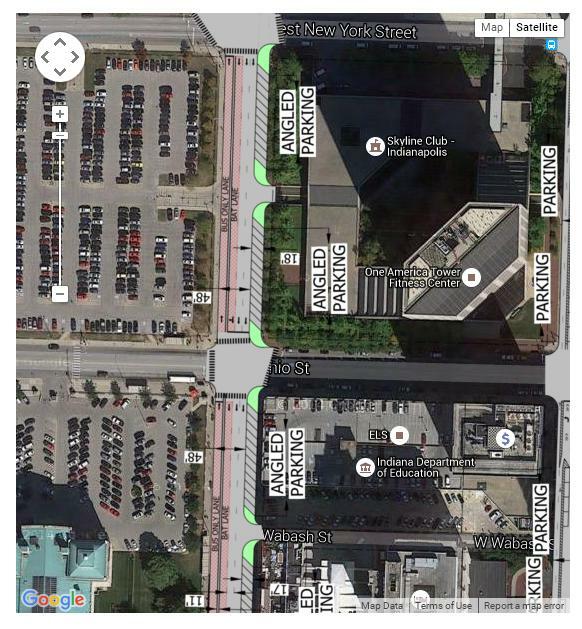 In the plan, there is one station on the east side of College so I see one of two things happening: 1) add a southbound station on the west side, eating up road space or 2) move the station to be a center station with the southbound bus lane being pulled to the center and traffic lanes moved out. Carrollton Avenue is mentioned going one-way north. Can you confirm this is for the block that currently is one-way south (where the post office is) or is this for a longer stretch of the street? I’m not sure, but I would be surprised if the one way stretch went farther south. But, the more I think about this, the more it makes sense to make that block northbound. It would help alleviate some congestion at College and Broad Ripple if some cars would turn right at 62nd and north on Carrollton. Since it says “reverse direction”, it’s pretty clearly talking about the single block where Carrollton is currently one way south. NOT ACCEPTABLE!!! We already deal with loud music cars driving through the neighborhood to get to Broad ripple bars- good grief! Carrollton Ave was not set up to carry increased one way traffic … This will lower our property values- which is NOT FAIR to any of us in this beautiful peaceful neighborhood. How do we protest this CRAZY idea and fight to keep our neighborhood- a Neighborhood! No No No!! I don’t know much about it. I’d imagine that it’s not going to be used by many people, and the one way portion will be as quiet as it is now. As I see it, only one block of the street would change– from 62nd Street to BR Ave. Your comment seems to imply that ALL of Carrollton would become one way? Is that your concern? Really? A bus line is what put you over vs what is already in the neighborhood? Carrollton is so narrow that making it one way won’t affect people’s driving speeds through there. Besides, rapid transit is a proven method of INCREASING property values. Im sure plenty of people would absolutely LOVE being in walking distance of the red line. I am quite concerned about parking along College Avenue. Recently I saw a detailed map of the proposed transit line, and I saw some plantings that are part of the proposed design. The plan is for those “plantings” to be put right in front of my and my next door neighbor’s house (to the south), preventing us from parking in front of our homes. Whenever there’s a big snow, I always get plowed in by the city. When the city has plowed me in while I’m at work, I’ve always been able to park in front of my house so I can dig myself back in and pull into my driveway. Pulling in on a side street a block north or south of me is not an option since those streets are not plowed. WE DO NOT WANT “PLANTINGS” IN FRONT OF OUR HOMES. We won’t be able to park there, and it’s an unnecessary expense! It’s difficult to comment without knowing exactly where you are. Looking at College in general, it appears that the only places where a landscaping area has been added is (a) at an intersection or (b) at a narrowing curb area where there isn’t enough width to provide a parking space. Speaking as a side street parker myself, I prefer parking on them over College Avenue, even in the snow. Also, please remember that the street in front of your house is not your property. It is public property. Carrollton sits inside a historical registered neighborhood (known for its beauty and peacefulness)…hoping this will somehow PREVENT the One Way action running through the neighborhood. We already accommodate Monan Trail traffic on the east side of the neighborhood and to cut MORE off to accommodate this is insane. This CAN be protested through government channels correct? I guess I’m not sure what your hand wringing is about. Carrollton is already partially one way. The only change is that the direction of one way will be reversed. But, but, but…it’s change and change is scary. I’m there almost everyday – this is so true and needed. It’s simply changing the direction. How is that such a big deal? 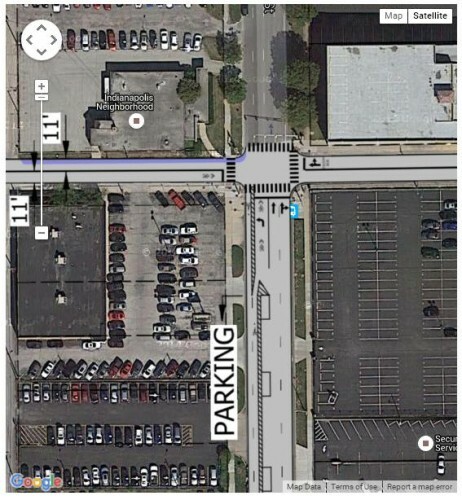 Full time parking on shelby st near garfield is silly, the amount of cars that pass by will lead to back ups to the area as most live in this area. And to put a station in front of the tennis courts is silly. Why cant that be moved on other side of southern ave? It can be in front of a parking lot and store. From seeing all the bad traffic signal timings and black poles in the st for bike lanes these engineers or designers have no clue. I live on shelby st, not once have i seen a person study traffic here. I been in this area for over 30 years. Do these planners note understand the large amount of school bus stops as well? Just because you havent “seen them” doesnt mean they werent there… come on. Permanent parking will be GREAT – it will slow down traffic which makes for a more pedestrian friendly environment. What do we want: Cars speeding through the area while school buses are picking kids up, or slower moving vehicles allowing for more people to get out and walk… It could even lead to much more access and development in the little town area where The Garf is. I see this as only a positive. Looking at more detailed plans from IndyGo is really cool. I hope that when they put their plan out for public comment and criticism they receive plenty of positive feedback. Let me first say that I want the Red Line to succeed. However, I definitely have some concerns. Considering all of the current and planned development along the Red Line corridor, everything seems to be built with a car-centric mindset–with ample parking for all residents and most commuters. Most savvy auto-dependent commuters can find inexpensive or free parking along most of the route. Also, until cool, quick, modern travel between UofI and Broad Ripple is offered between downtown and the airport (and other lines that are planned but likely will take some time to gather momentum) I wonder whether the service will really catch on. In my experience, even those who are riding bikes more frequently are having a hard time actually disposing of personally owned cars (I think because it is largely inexpensive to own and park a car in the city). I know people who utilize the Blue Indy service because it’s cool–but they still own a car. The car share program has not disrupted the automobile juggernaut. Will a single commuter line accomplish that, when there is still plenty of cheap car space along the line? Indianapolis seems so car-centric that people won’t risk really disrupting an existing corridor (College/38th/Virginia/etc) and instead IndyGo incorporates a unique but mostly untested hybrid version of a commuter line. It seems like the people who are advocating for public transit want an elevated line in the city, can’t afford it, so instead plan and promote a plastic alternative. I really hope the Red Line catches on and is a game-changer for the city. It’s just too cheap to own and park a car in this city. There is quite a bit of chicken/egg with transit oriented development (TOD). Overall I think there will be a ratcheting effect where it will increasing transit options will lower the need for a car thereby increasing need for more transit options thus lowering the need for a car and on and on. Don’t expect this to be a silver bullet. People are living a fantasy if they truly believe that people in Indianapolis are going to give up there cars. Just as people are living a fantasy if they think Indy can keep building/widening highways to attract more high-paying, high-skilled jobs. Cities that fail to adapt are the ones left behind. Nobody will be forced to give up his, her, or THEIR cars from this initiative. But some might just choose to. Reversal Diagonal Parking? Look in front of Broad Ripple BrewPub in BR. Folks, I just want to talk transit and development on here. Constructive criticism is welcomed, but not some of the stuff we have seen any time we post about the Red Line. It is obvious that some are just trying to stir the pot, and not add anything to the conversation. Kevin…..first of all my apologies, you know why. Having said that, As a 38 year member of IFD and a Battalion Chief which serves a large portion of the area the Red Line will impact, I have several areas of concern. Public safety (police, fire, ems) have a increasingly difficult ability to respond to emergencies for a variety of reasons. One is the lack of ability for vehicles to pull to the right and yield for us to respond to citizens calls for assistance. You would not believe how many drivers just stop wherever they are without making an attempt to pull to the right and STOP. (which is state law) If roads are continually subjected to “traffic calming”, this issue will only become more problematic. If you and Andy could frame some of the considerations I have mentioned into your observations of this process, I think the public would be well served, and public safety will be able to get to our citizens when they need us most and in a timely matter. When, and hopefully you or your families don’t, need us, I want our resources to be there in a safe and timely manner. Rick, wouldn’t a public safety campaign to reeducate people to pull over to the right be more effective than making our streets wider only for our overly large emergency vehicles? Police need to ticket people who don’t pull over properly. Wider streets always create far more problems than they solve. In European cities they have taller and narrower emergency vehicles. We need to consider switching to using these as well. Does the full ladder truck have to respond to every emergency outside of downtown? How many calls and fires truly require that entire large fleet? Totally agree with your point of the PSA’s. Unfortunately, there is no public safety budget I am aware of to buy time. That means we are totally dependent on the good will of media outlets, Typically in the TV segment, that means PSA’S usually air around three to five in the morning. I realize the difference between the size of US vs European equipment, there are way too many variables to be discussed in this format. When I mentioned that there were “many considerations”, I did not even broach that there has to be somewhere to pull over to for motorists to yield. I feel that a face to face, or a fire station visit would be more beneficial. Unfortunately, I have cancelled on Kevin twice due to family issues. I would however be more than happy to try again if there is interest. Rick, I’d be open to learning more about this issue from you. I won’t pretend to know all of the details from your point of view and would definitely benefit from understanding it more. My point of view is that wide roads allow for cars to travel at high speeds which are not conducive to walking, biking and doing normal things without a motor vehicle. Traveling on foot should be much more safe than by car and will be that way if we have modes of transit like the Red Line with dedicated infrastructure like proposed. It also has the benefit of narrowing the total width that a person walking has to cross with vehicles traveling at high speeds (speeds greater than 30 mph). Of course everyone wants emergency crews to be able to get to where they need to go quickly, but widening the roads for these exceptional cases and adding more lanes of through traffic are not the answer in my opinion, and there are many studies and articles showing this to be more than just my opinion. This is one reason I’ve talked to the Red Line people about the possibility of repaving the parallel alleys along College Avenue. If more residents could park their cars on the alley instead of on College, then there would be more room for cars to pull over in emergencies. They seemed receptive to this idea, and it wasn’t the first time that someone has mentioned it. Rick — I assume the dedicated BRT lane could be used in an emergency situation. My understanding is that the “median” in the middle of the road is of a height to prevent cars from turning left, but to allow emergency vehicles like a fire truck to pass over it. Rather than a hindrance, the BRT lane may be a net gain for emergency response time. Hey Rick. This came through my feed the other day. The pictures are so small that figuring out what means what is very difficult. Is there a web site or someplace where we can see the plan with a legend? I am still concerned with the South Shelby part of the route. With the bike lanes that have been put in and parking at times on both sides of the street where is there room to drive? It is already difficult to park on the street and get out of the drivers side door without getting hit by traffic flying by. Smaller lane widths to accommodate what I see on the plan will make this worse. Park in front of Sudings Hardware sometime and see how easy it is to get out of your car. Then think about how much harder it will be when you reach my age 69. With shelby st around the garfield park area and a fire station that uses shelby st very frequently. Having Shelby st down to two lanes and parking on each side full time this is not a well planed idea, Shelby st doesnt need that. I just saw a police car have to go up over the curb to my yard to miss a car that was in its way, the cop went between bushes and a utility pole. The cop almost slamed in to that pole. I can not imagine where these emergency vehicles are going to go on a two lane shelby st. You can still have a red line without bring shelby st from 4 lanes to 2. From what i see i will always drive my car this red line doesn’t benefit me. There is always an adjustment period as new plans are in place. But people do adjust. Shelby Street has worked better for commuters than for the neighborhood in the past, and this is an effort to make it work better for Garfield Park and other southside neighborhoods. People have to stop using Shelby Street as an analogy for College. It does not have the same traffic patterns. There is no southside equivalent to the office parks that exist between 86th and the northside cities. It is also not as densely populated. Indy is an extremely drivable city. We should not force it to conform to the standards of cities just so that we can cater to the potential needs of elites that may or may not move here. Congratulations on being able to afford a car! Unfortunately there are large swaths of Indy can can’t afford a reliable automobile or can’t operate one (disabled, no license). These people then get relegated to being second class citizens with a system that is unreliable, infrequent, and uncomfortable. The Red Line will pass close to them (38th and College is the epicenter of poverty in Indy), will be reliable (bus tracking), be frequent (every 10 minutes), and be comfortable (including wifi). It does not and cannot compare to the current 17. 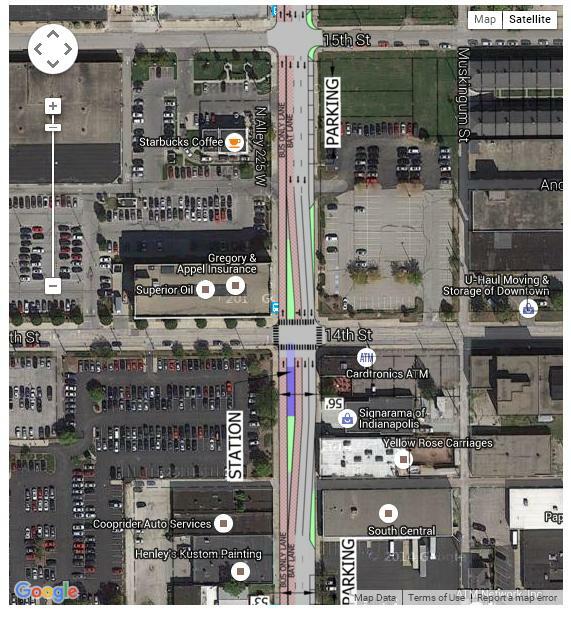 Also, Indy is drivable at the expense of other modes of transportation (biking, transit, walking). I would love to see a balance in the various modes, but nearly every bit of transportation space in this city is dedicated to the car. It’s unfortunate and also completely unteneble. This plan has little to do with elites (although they benefit) and is a social justice issue. Actually the poorest area in this city is the near east side 10th street corridor. Bus tracking can be done without changing the traffic patterns of the streets. I guess I just do see wifi as a need. I’ve been reviewing the Red Line interactive map and it is not clear to me what the “median” on college actually means. Is that a barrier impassable to pedestrians and bicycles, so it essentially puts a wall between two neighborhoods? Or is it just a little curb in the middle? I find it hard to imagine a BRT where pedestrians and bicyclists won’t be able to cross mid-block or at most intersections anymore. Won’t that then drive many bicyclists, pedestrians, and cars to the same occasional chokepoints, making those places more dangerous for all? I’m writing that as a big Red Line supporter. But I thought one benefit of BRT is pedestrians can easily cross it, unlike a light rail line. The median will be a few inches tall, and most pedestrians should be able to cross it. But, that is why it’s important to have other dedicated crosswalks at some intersections for the safety of all citizens. Thanks for that clarification. So there won’t be a rule that pedestrians can’t cross BRT at non-crosswalk intersections? I haven’t seen one in action so don’t know if it is a real risk due to speeds…I can’t imagine it’ll be any harder (and probably will be easier) than crossing College currently. The project engineer mentioned that pedestrian crossings will be allowed, even where the median exists. The Red Line ridership estimates are “pie in the sky” based on current ridership of the College Avenue 17 bus. The northbound traffic on College will be limited to one lane of cars. Rush hour will be a disaster. North of 66th the busses will run in mixed traffic with cars so the every 10 minutes bus arriving will not hold true when they can’t run in dedicated bus lanes. The cost overrun of this will end up being stuck to the taxpayers, again. 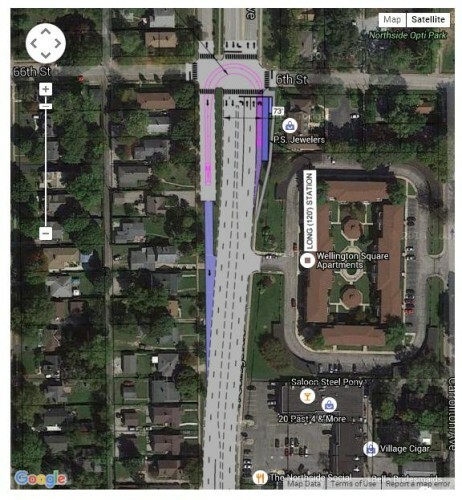 I have never understood the argument about how limiting traffic to 1 northbound lane on College will be a disaster. Southbound is already 1 lane. It also takes the view that every car currently using College will continue to do so. This simply won’t be true. I know a number of those car commuters who will be taking the bus and leaving their cars at home. Mass transit doesn’t relieve congestion, it actually relies on it. Also, I’m doubtful that the College 17 numbers were used to estimate the Red Line ridership given that frequency, amenities, dedicated ROW, and quality of the bus will not be remotely comparable. Finally, taxpayers have been stuck time and again with 50% of the bill to subsidize roads for people who can afford a car. Maybe it is time to go ahead and provide subsidy to mass transit that is affordable for everyone. You know, I went to Broad Ripple High School in the late 80’s, my kids went there in early 2010, and I live off 49th and College now. So I basically have three decades of experience on this exact bus route. I ride the 17 bus to and from work downtown in the winter or the 19th which runs parallel down Central. I ride at least 6 different time slots depending on when I go into the office or if I go to the gym downtown. As it was in the 80’s the 17th College route is not used to capacity. I think people are lying to themselves if they think the ridership is or ever will be there. When you can alway find a seat at rush hour there is no way to justify putting in more routes. Especially when it means destroying business and homes. I just moved back from Chicago two years ago. Essentially what this pan is trying to do is create a CTA style transit system. The big difference is that those buses day in and day out, even with their “world class transit system” are always PACKED. People say that you will find parking on the side streets. To them I say, “Have you ever tried to find parking on the side streets around Moe n’ Johnny’s when a Butler game is on? It would be totally different to me these buses were at capacity, had ever been at capacity, or had something besides wishful thinking that one day they will be at capacity. If it was so necessary you could just as easily run the existing buses for a year or two along the same route to build awareness and ridership, to prove the concept. In fact, I am going to start a video log of my bus rides and post them online so that people who are uninformed about the project can see how little it is used. I would also like to meet some people that would ride this route it’s length or,even half of it, on a regular basis that cannot manage on current routes. Is anyone losing a job over this? Do we really believe that there are people living that far north that just can’t get to work on the Southside because of conservative public transit? No one is saying people can’t currently find a way to get to work along those routes. We just want a way to do it BETTER. Instead of taking over an hour on the current bus, think of how many people would ride the BRT to get there in half the time. And not have to pay for gas (and frequently, parking). 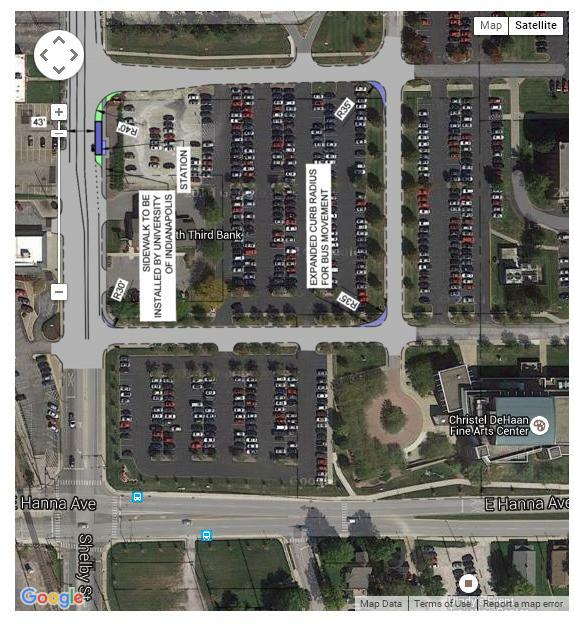 And to use the argument about finding a parking spot at Moe & Johnny’s during a Butler game is frankly ridiculous. Can you imagine someone fighting the Chicago bus system because it takes up parking spaces in Wrigleyville during Cubs games? The problem is that no one lives on the south side and works on the north side. It does not take an hour to get from Broad Ripple to DT. It also costs less in gas to drive DT than it does to catch the bus. To and from costs $3.50. You can drive that same distance twice for the same amount. Most of these big business that we are hoping to entice pay for parking. And yes, as a recent Chicago resident I can tell you that people fight the city for parking in those specific areas all of the time. 1. You can’t point to a weak, underused bus system and say “look, nobody uses that worthless thing, why would anybody use a better system?” The 17 bus currently runs on 30 minute headways, with no RT bus tracking and no lane/light priority. The Red Line will run on 10 minute headways, with RT tracking + dedicated lanes + light priority. As a choice rider, I will not subject myself to the hassle of riding the 17, but I will absolutely ride the Red Line. 2. 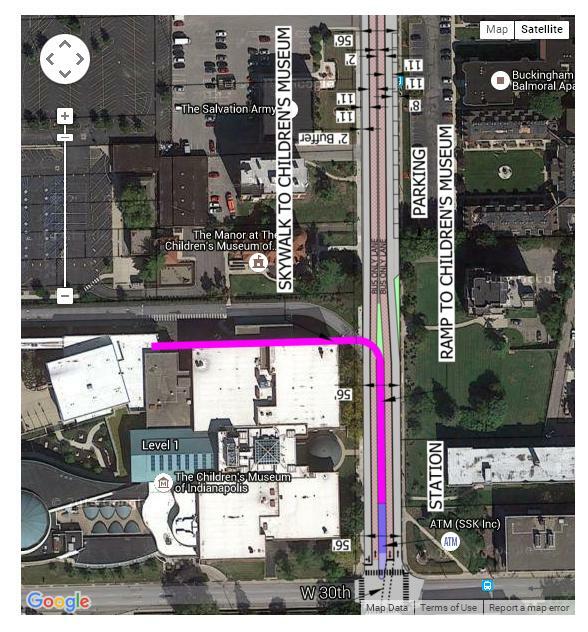 IndyGo does not need end-to-end riders — “no one lives on the south side and works on the north side” — to justify the location of the route termini. It only needs riders that might get on or off at those locations. There is high density housing and destinations at both termini in the Phase 1 plan of the Red Line, which makes them ideal. 3. “It also costs less in gas to drive DT than it does to catch the bus. To and from costs $3.50.” In pure in-the-moment cost, this may be true. But that doesn’t account for long-term wear-and-tear on a personal vehicle, the damage that personal vehicle does to the road, the environmental impact of burning gas to move 2 tons of vehicle in order to transport one person, etc. I think you misunderstand my point about Chicago. No one in the areas served by mass transit would give that up for a few additional parallel parking spaces. In fact, if anyone went before the CTA board to remonstrate for that position, they would probably be lynched on the spot by everyone in the gallery. Reliable mass transit that runs on a predictable (and frequent) schedule will always trump a few parking meters. I think your comment about destroying businesses and homes is a bit dramatic. Considering it will not destroy any. I am not saying that transit cannot be improved in this city. I am just pointing out that there is no actual proof of immediate need, just a desire to pander to upper class, highly educated elite choice riders like Chris that cannot be bothered to wait a few extra minutes for a bus that they admittedly do not actually rely upon. Not to mention the coming tax burden. There are so many other option that can be considered. I for one actually ride the bus and still will not be giving up my car. My time is worth more than I spend annually on wear and tear. But I understand that some do not see it as such. But hey, I am just an old crusty vet that that doesn’t get the instant gratification needs of youngins. By many objective measures Indy’s transit system lags far behind peer cities. This bus line will connect Downtown, Broad Ripple, Ivy Tech, & U of Indy. There is a wide variety of people who will benefit – some upper class, middle, and lower. It is hard to say it is a line for rich people when it will serve the Meridian Corridor which probably has the highest concentration of people without cars in the city. It will also serve MK, which is upper class but what is wrong with that? It will connect several productive places. Places where there is less & less room for parking because there are more lucrative things to do with the land. This will allow more land to be released to productive use from dead car storage – this will be an economic win for the whole city. All the while connecting people between the places they live and work. This is not the only step so it is not a comprehensive one. For those complaining about it being a bus for rich people I would argue that those unable to afford a car will be better served by a permanent quality transit investment that spans the length of the city and connects several key areas than by a half baked transit for welfare that operates among the rich citizens auto commuter paradise. As for the taxes I would be in favor of looting the road fund to balance out the investments, but that’s just me. People say that about wealth because a primary goal is to entice highly paid, upper middle class, choice riders to use the system and the plan fails if the magical millennial does not ride. You do realize that you can, and have been able to for decades, get from BR to DT in 30 mins on a route that runs every 30 mins? Do you also realize that it runs largely EMPTY most of the day and has for decades? And that if you miss that one you can walk down to central and catch one in between time? You can also get from Broad Ripple to U of I in about 55 mins on the current bus system and that this route will not significantly shorten that time? You just have to transfer buses, as you have to in cities that have more comprehensive bus systems? You can also catch the 30th Crosstown bus from the MLK area to Ivy Tech or Meridian and take that route all the way south? A lot of the holes in the system can be plugged with short route small shuttle buses. Electric for all those with environmental concerns. People in poorer neighborhoods will have the bus pass through their areas but they will not be jetting up to Keystone at the Crossing to go shopping any time soon. So yes, it will make some commutes more direct but not drastically change the destinations of lower income residents. But I guess it works great for all of those U of I students living around MLK to get to class because that’s definitely an unmet need in this city. Why do people have this impression that IndyGo buses are not quality? That people are “subjecting themselves’ to something?They are just like buses in most major cities. What do you expect magic carpets that sooth your toes and sing you smooth jazz lullabies on the way to the brew pub? Seriously, have you taken a CTA in Chicago or Seattle? The comments about quality make me think that many advocates have not spent a lot of time on public transit. Again, no one is arguing about whether this system can be improved. I am simply pointing out that THIS plan has never been proven as an actual NEED, and that THIS plan has a lot of potential long term negative consequences, and that since it demands a lot of permanent changes we should be provided the proof of actual unmet need before we are forced into it. I just do not see what is wrong with tabling THIS plan, making incremental changes and building awareness and ridership before we make drastic, largely irreversible changes. Back in the sixties, roads were widened, historic neighborhoods were reamed out, and roads were switched to one way in very short order (like overnight for the one ways) with little to no public input or studies on the effect of such changes. The results were disastrous. Please look through all the Red Line specific info, info on BRT in general, and get an understanding of where this will fit in in the future. It is remarkable that the public process has been going on for the Red Line for years now (almost 5?) and people are acting like this is just happening overnight with no public input. The sixties highway development was in response to the increase in automobile ownership by the WWII generation and the Baby Boomers coming of age. Yes, there was plenty of proof for that need and yes I have read the specific info. I actually did my MPA at SPEA in 2013 and studied the plan for my capstone project which was commissioned by the Indy Chamber. Robert Evans, what is the “plenty of proof” that there was a need? Was this study commissioned by Robert Moses, or was it Ed Bacon? Or both? What happened to Center Township at the same time that we accommodated that need? What happened to every downtown in America, large and small? Sorry, I forgot that whole in response to the urbanization of America after WWII where as before the majority of Americans still lived in rural communities and the post war industry demanded greater travel speeds over greater distances fact. There is no demand here or the buses would already be utilized at greater capacity. A major justification for this plan is to give greater access to shopping for people who do not own cars. Most of the shopping north of 38th street is on Keystone and not College. What are the disadvantages of this plan going down Keystone instead of College? The advantages are obvious. I’m very curious to hear these “obvious advantages”. If you’ve read through any of the other discussions on this topics, I’d say they’ve effectively cited the obvious disadvantages to locating on Keystone. What are these advantages to putting a bus on an area where nobody walks anywhere, and the built form makes it impossible for them to walk anywhere? Aside from “cheaper and easier to install”? One reason cited for this project is the closure of the Double 8 grocery stores which have long served inner city low income neighborhoods. The majority of the shopping in the area is located on Keystone. Routing this bus to Keystone avoids residential disruption and adds direct access to three grocery stores within a 2 block radius. Plus Keystone is wider so there is less traffic disruption. “avoids residential disruption” Yes it is always the best plan for mass transit to avoid residential areas. No need to pick up people. You are still showing a very shallow understanding of how transit works and what it does. Transit needs two things that most transit projects totally miss: 1) It requires congestion because congestion is people and 2) It requires right of way to avoid said congestion. Any successful mass transit project will thrive where congestion is present and transit will never relieve congestion. Here is a good starter on induced demand. I think I am done with this discussion. Just because I do not agree does not mean that I am ill informed or am showing a “shallow understanding” of how transit works. I as I mentioned early I have nearly 30 years of experience actually taking these buses are actually used. I have actually read the Brookings Institute Study that this route is based on and understand that the numbers are skewed because it compares raw numbers instead of local traffic patterns. In other words it is comparing Indianapolis to New York, Chicago, and Philly, cities that have densely populated urban areas which ridership comparisons. It is also based on the idea that people should be able to transit within 90 mins to work. There is no place in Indy you cannot get point to point on the bus in 90mins. 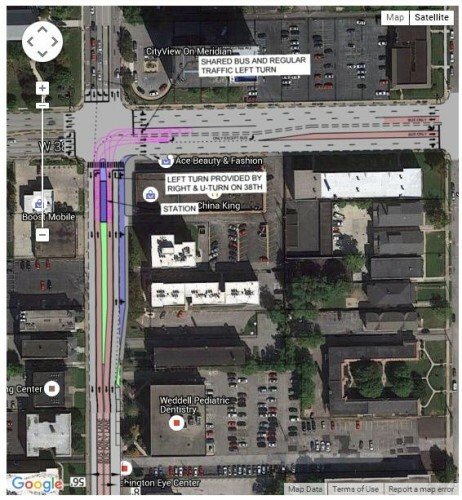 I came to this web site while searching for the plan that IndyGo officials say exists for how public safety vehicles on emergency runs are to navigate amongst buses and other vehicles along the College Ave corridor. I found nothing, nor did I find anything on the official IndyGo Red Line web site. 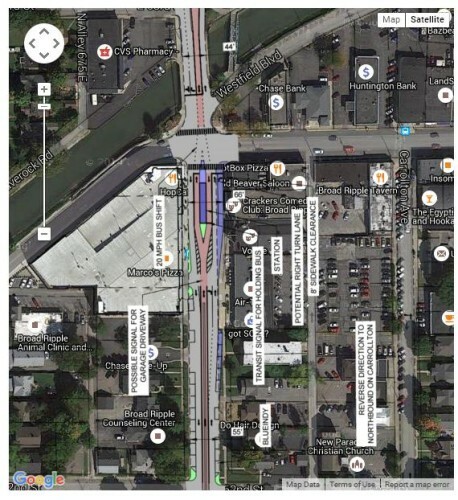 At yesterday’s Art Center public Red Line meeting public safety officials noted that they were just now getting a “feel” for what impact the College Ave Red Line would have on their emergency runs. IndyGo’s Brian Luellen said the “Safety Plan” would be posted on their web site. Not yet posted. Eagerly awaited by your truly. If the emergency response time for a fire truck, EMS van, or police car is degraded from current RT due to the middle of the road bus platforms, Bus Only center lane, and one lane N and S for civilian vehicles.. then the safety of all area residents, visitors, and commuters is at risk. I favor improved public transportation, but not a roadway design that puts emergency personnel at risk for delayed arrival. This when every second.. every minute without these servants on site could cost a life. Maybe it is just me but the only people I see sounding “the alarm” on this is the average resident. Now, I am not against people being informed, I am all for it. The only reason I say this is that I have not heard the IMPD or the IFD say anything that shows they have grave cause for concern. They deal with congestion problems all of the time, this will not be some radical new frontier. I am not sure how this will even have a negative impact on a south run since it will still be 1 lane. They have stated that emergency vehicles can use the center lane so honestly they might have MORE room is some cases. From what I have heard the IFD has been informed every step of the way and until they come out and say they have a problem, I will reserve judgement. I think that armchair safety specialists should do so as well.